For such a young brand, Absolute has all the heritage a boat builder could want. The Gobbi family had just sold their brand off but since boating was still running in their veins they decided to start a new brand, using all the lessons they had learned from their previous experience as boat builders. 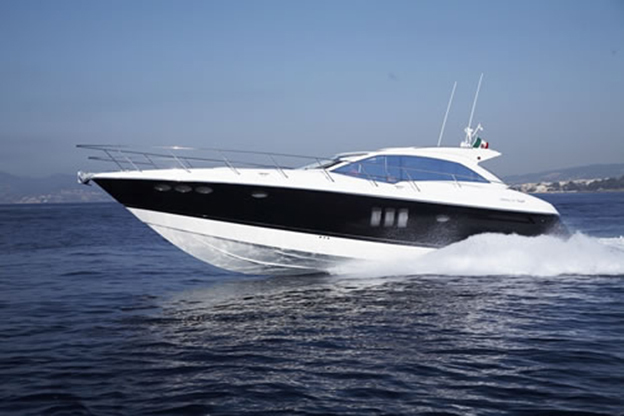 We had already seen a few Absolutes at international boat shows but when local agents Nautica offered B&Y a test of the brand new Absolute 52 which was bought by a Maltese client we grabbed the opportunity. 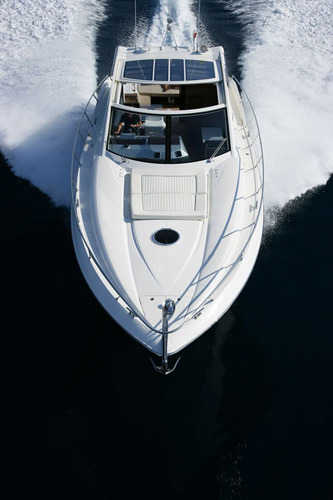 Two things stand out immediately when comparing the Absolute 52 to conventional boats of its size. 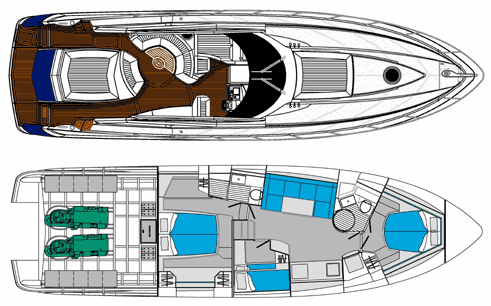 The layout of the saloon, which, in our opinion, has improved life aboard the boat significantly whereas the choice of engines and propulsion leaves the boat in a sense of compromise. First of all, when you read out the power available to this boat you will be pretty surprised. 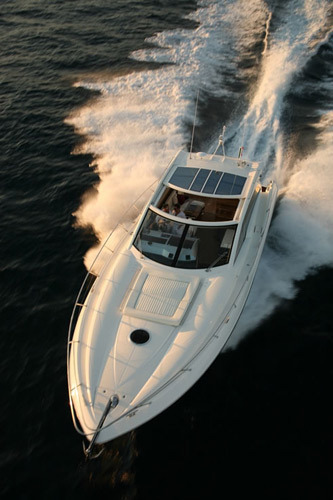 We have come to expect 12 litre engines producing 700 – 800HP on 50 – 55 foot boats yet the real power of the engines installed on this is a seemingly paltry 435HP (each). Having said that, when coupled with IPS, Volvo rate these to be of the equivalent strength of 600hp engines, which is still somewhat off the mark. The plus side of this is that you have two 5.5 litre engines burning fuel – less than half the size. In spite of this, when testing the boat it felt pretty comfortable – we were expecting it to feel sluggish but it was not the case. We managed to max it out at just over 30 knots, but the hull was relatively dirty and the tanks were half full. On a shaft driven 800HP we would have expected around 5 extra knots, but is that really worth it when you compare the consumption levels – which go down by around 30%? Visibility at the helm is crucial in any boat and Absolute have really made an effort to make the boat as manoeuverable as possible. It would have been useless to put in IPS drives which allow inch perfect corrections and then scupper it all with poor visibility. The wind shield and windows all round are large and the pillars holding them in place do not obscure your vision. We loved the large sliding roof which has become somewhat of a standard on this kind of boat and it is even possible to stand up on the footrest to steer the boat with your head sticking out of the roof. Absolute also fit in a couple of sliding windows on the side – the result is a very comfortable and airy cabin at all times. 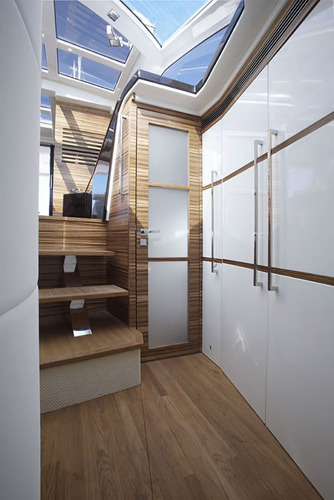 With the rising popularity of sliding (hard) roofs boat builders have managed to fit in proper furniture above deck. 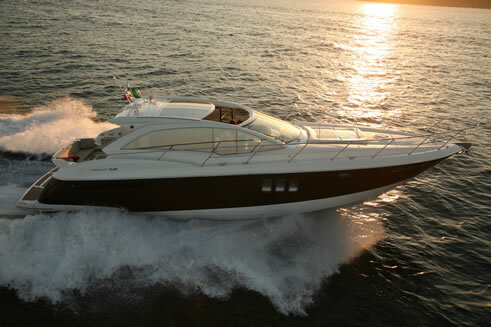 In the case of the Absolute 52, the saloon and galley are both above deck. This creates a large and spacious living area which is very well lit and ventilated. The galley is not what you'd call enormous, but is in a U shaped area which lies between the saloon and the cockpit. 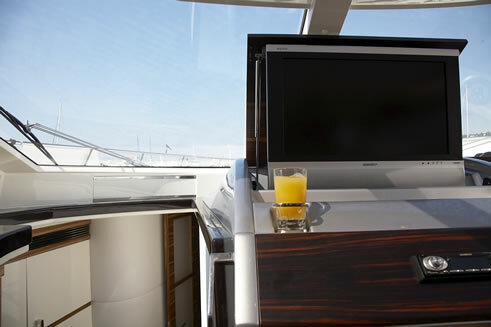 It can serve well as a galley but is also perfect as a bar between the saloon and the cockpit. The boat offers ample storage in every nook and cranny and we can see it being an ideal long distance cruiser for three couples comfortably. The finishing inside the saloon is straight out of the top drawer and Absolute's interior designers used the highest quality materials and combined the colours very gracefully. We loved the way the TV was integrated into the dashboard – Absolute really put everything in as standard, including this flat panel TV. The absence of a lower saloon means that Absolute could really play around with the cabins and the result is awesome. 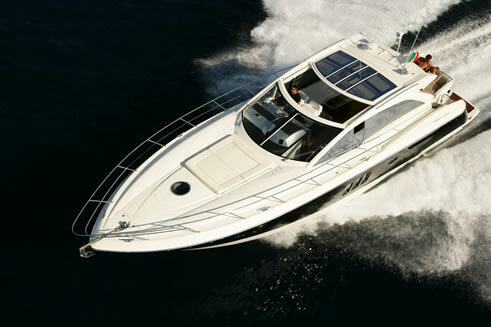 Not only do you get three full cabins with three ensuite heads, but the midship owners' cabin is a beauty to behold. The three windows which give the Absolute such a distinctive look on the starboard hull also make this roomy cabin full of light. Thanks to their layout the three cabins offer decent privacy and each one of them offers ample storage – once again making this boat ideal for longer cruising trips in company. Living area on deck is decently sized and offers some sun bathing space on the fore deck and a table and sofa which convert into a sun lounge astern. The bathing platform is large enough to take a tender and thanks to the fact that it can be lowered into the sea it means you don't really need a crane. It is also really fun to use while semi submerged. You can sit on it enjoying the cool sea without having to swim – ideal for that lazy guest in our hot summer afternoons. From a practical point of view we really loved the ample storage space the boat offers. Fenders all fit comfortably in one of the spacious lazarettes. The engine room is enormous, especially when you consider the relatively small size of the engines. While you can access the engines by raising the cockpit, access through a hatch in the middle of the cockpit is very comfortable and unobtrusive and there is ample space to move around in. The generator can be reached comfortably too and you even have space to store some bulky but not too delicate objects – such as a spare anchor or an outboard – in the engine room. When everything is considered, Absolute have really hit on a winning formula for cruising the Mediterranean. 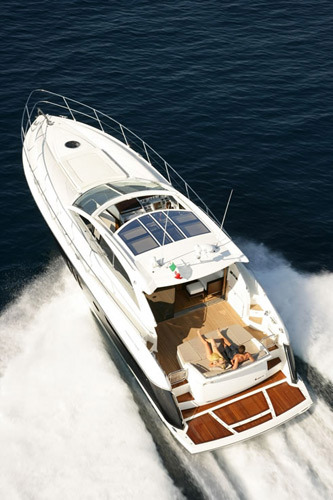 The boat is well laid out and cabins are spacious and offer real privacy. Living on board should be a pleasure and, while the boat will not be winning any races, it will cruise economically and at a comfortable speed. 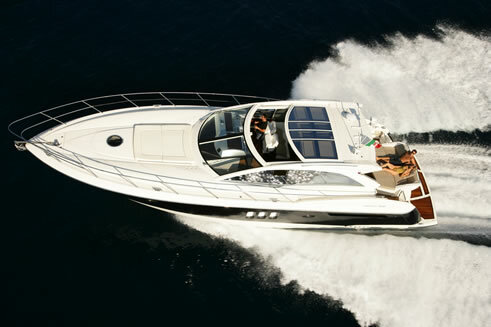 Absolute have come up with a boat which is definitely worth checking out if you're in the market for a 50 foot cruiser.